Equisales is your source for medium- and high-voltage switches. We stock 5 kV to 69 kV switches with amperages from 600 to 2,000. Clients and in-house engineers can select switching equipment that is compatible with operating voltages, potential surges and fault interruption systems. 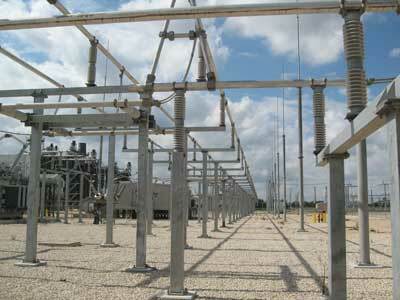 We provide equipment and design protection schemes for fast-track substations and switchyards. Our specialists work with utility providers and industrial groups to develop and implement switching schemes that are necessary for effectively managing the energy supply, conducting maintenance and protecting valuable equipment. The high-voltage switches that we stock are ideal for all types of substations and switchyards. Our rapidly changing inventory includes isolators, disconnect switches, locking devices and switchgear components manufactured by industry leaders. We supply hookstick, outdoor group and enclosed switches. Manual and high-torque motorized operating types are suitable for small-scale, large-scale and indoor applications. Items in our inventory are hand-picked for their durability, reliability, performance and quality. Stringent selection criteria ensure that all high-voltage switches meet applicable National Electrical Manufacturers Association (NEMA) and American National Standards Institute (ANSI) requirements. Clients can choose switches based on any of the following specifications. Each component is engineered to perform optimally in harsh conditions. Unbreakable terminal pads and operating cranks can withstand extreme heat, cold and wear and tear. Simple and durable configurations allow vertical break disconnect switches to operate safely when coated with a thick layer of ice. From the counterbalance springs to the contacts and polymer insulation, every part is selected to exceed performance standards in the most demanding conditions. Our fast-track services go beyond construction. We perform pre- and post-installation services and provide consultants to assist with development strategies. Anticipating changes in electricity demand before structures are built can increase their adaptability and usefulness while lowering your costs. Recognizing the likelihood of expansion during initial design and installation phases can reduce outages and expenses when major changes are completed. Building extra switchgear bays today can prevent delays and higher expenses when modifications are required to accommodate increases in power consumption. Immediate installation of additional buss disconnect switches can also minimize outages and power disruptions when they are installed at the outset. Planning ahead and designing fast-track substations for the future are effective ways to maximize business investments and returns. These development strategies offer the cost and time savings that typify our fast-track solutions. Call 713-733-3999 to check availability or to request a quote for specific switches needed at your high-voltage substation or switchyard. We supply switches and equipment for fast-track power facilities around the world.